Arsenal have been linked with a shock move to sign Manchester United defender Jonny Evans if the Red Devils succeed in bringing in Mats Hummels from Borussia Dortmund. 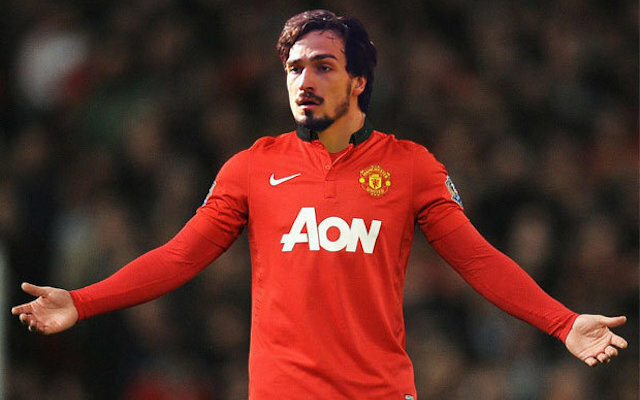 United are known to be keen to strengthen at the back this summer, with Hummels believed to be a prime target for manager Louis van Gaal, who is unconvinced by his current options in that area. Evans is one of those who has not had the best of seasons, and it could now be that Arsenal will pounce for the Northern Ireland internaitonal if he is allowed to leave Old Trafford, according to the Metro. This move would surely not go down too well with Gunners supporters, with Evans not looking like the calibre of player they themselves need to improve at the back, with Per Mertesacker caught out in some big games this season and January signing Gabriel still settling. Arsenal did make another surprise raid on United last summer as they brought in Danny Welbeck on deadline day.